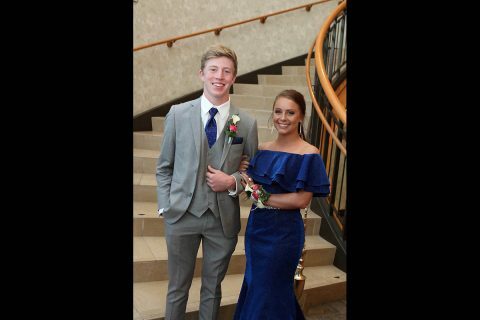 Clarksville, TN – Clarksville Academy Prom 2018 was held at Hopkinsville’s James E. Bruce Convention Center, with 158 students participating in this year’s Grand March, followed by dinner, dancing, and a very special after-party. CA’s Amanda Pitt was one of the organizers of this year’s event. She also had the honor of introducing the couples as they descended the elegant staircase, and stood before a crowd of hundreds of family members and friends. 158 students participated in Clarksville Academy’s 2018 Prom which was held Saturday at Hopkinsville’s James E. Bruce Convention Center.